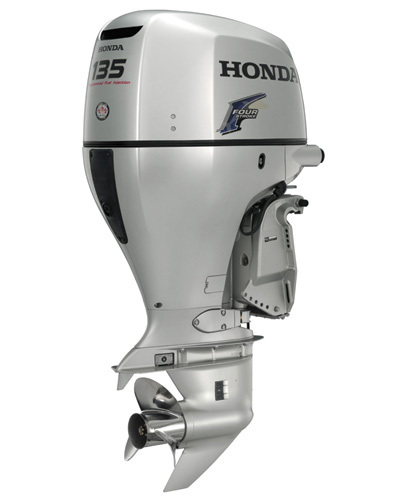 Honda's 135HP engine delivers some of the most advanced technology ever seen in an outboard. Dual Stage Induction, Lean Burn Technology, Differential Cooling Systems...it's all state of the art. And don't let the large displacement throw you, the 135HP is surprisingly light. The 135HP is based on the same engine that powers Honda's Accord, CR-V and Element automobiles. So you know you can expect long term durability and clean, quiet operation. If you're looking for all the performance without all the gas and oil, Honda's 135HP is your engine.